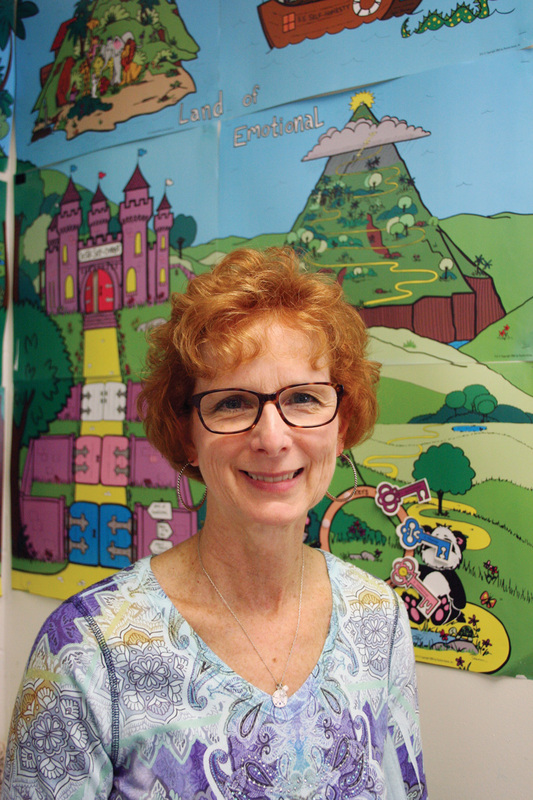 It’s a wonderful spring for Sue Keefer, who won Teacher of the Year at G.W. Carver Academy and whose nonprofit just dug a new well in Africa. Sue Keefer was away from the office when she received news about winning Teacher of the Year at George Washington Carver Academy. And she wasn’t just out of town. Keefer was out of the hemisphere. But her trips to the Democratic Republic of Congo started with her love of children and teaching young elementary students at G.W. Carver, an alternative school for the Indian River School District, addressing the academic, behavioral and personal needs of about 70 K-12 students at any given time. “Our goal here is to get them back to their home schools” with coping mechanisms to help get them through tough times, she said. It’s a little classroom with seven children, from kindergarten to second grade. Even assisted by a para-educator and a one-on-one specialist, Keefer’s always on her toes, planning and readjusting. “We’re trying to get them to think about their emotions in this classroom. Because they come in with all kinds of things in their head,” and stresses from home and the outside world, which they must overcome to focus on schoolwork. She celebrates even the smallest victories with high-fives and encouragement. Now in her third year at Carver, Keefer previously taught special education at Sussex Central High School for seven years. She’s proud to represent her school as Teacher of the year for 2018-2019. At Carver, teachers have a long road ahead, but they are fortunate to begin with a written history, to understand where students are coming from. Keefer admitted that if she didn’t know a child’s background, she might react to bad behavior a lot differently. Her job starts with empathy, connecting with children and their personal lives, so they can be successful. And her colleagues see it. “Mrs. Sue Keefer is a phenomenal educator who goes above and beyond each day with her students. Her dedication and love for learning is evident in all that she does,” one stated at the district’s Teacher of the Year celebration in April. They honored her experience, passion and compassion. Teaching was always Keefer’s dream, and special education was her specialty. She worked at summer camps for people with handicaps, as well as eight years as a Special Olympics coordinator. She has earned a bachelor’s and master’s degree from Clarion University of Pennsylvania. Originally teaching in Pennsylvania, Keefer had retired to raise her first two children. That’s when the pianos rolled around. Her husband, Ed, owned a music store that sold, among other things, old-fashioned player pianos. When both supply companies stopped producing them, the Keefers bought one of the companies, built a factory and built pianos for 20 years. “We were the only one in the world producing roll-player pianos,” in addition to regular uprights and grands. She returned to teaching around 2002, when the piano industry was selling down. Enticed by “that one wonderful week of vacation” each year at the Delaware seashore, the Keefers moved to Sussex County about 10 years ago. They also created a nonprofit foundation serving children in the Democratic Republic of Congo, (not to be confused with the Republic of the Congo). It all started with a 2010 mission trip, where she fell in love with the children. Then, on a 2011 mission trip, she bonded with a child named Miriam. Their hearts just connected, and the little girl refused to leave Keefer’s side. In 2013, the child’s father died, and the Keefers stepped up to adopt her. During her 30-day wait for Congolese paperwork, Keefer volunteered at the nutrition center, taught and played games with the children. Her ties to the nation grew even stronger, and she saw the poverty. The Keefers knew they couldn’t feed each of the thousands of starving children, but they could help some. They founded Miriam’s Table in 2014 to provide one nutrition-packed meal each day to local children in the Mpasa region, just outside of capital city of Kinshasa. They also help supply medicine and mosquito nets. “Our mission is to improve the physical and spiritual well-being of the children and families of the Democratic Republic of Congo,” the website states. “And we just finished drilling a freshwater well, through the Rotarians,” said Keefer, grateful to the Rotary International, including Delaware and African branches. Back at home in Lewes, Keefer loves family activities, such as bike rides and time on the water. She and Miriam still visit Congo every summer. For a teacher, summers aren’t just vacation. It’s a time for training, teaching summer school or writing lesson plans for next year.